Summary: The Holy Spirit, our power. To God be the Glory & Praise the Lord! There will come a time in our faith journey that other people may question our faith and our commitment. You may also feel that it seems you are not progressing in your spiritual life, no growth and no big difference compared to your life before. Probably, some people are wondering why are you attending the Filipino Mission Fellowship. Sometimes even our own families question us and on guard on what we are doing. Others may say, why are you changing your religion or what made you decide to be one of them. People may say whatever they want, but do not be discourage nor be afraid because the Lord Jesus is with us. Jesus Christ Himself said these very words before his ascension. And it’s important to note that Jesus Christ himself had said this to His disciples- His followers. Acts 1:8 are the words intended to the people who accepted Him and trusted Him just like you and me. We need to be certain that we have this right relationship with Jesus Christ. Because we cannot achieve progress in our spiritual journey without Jesus Christ and the Holy Spirit at work within us. This statement is not applicable only during those times but more so now – this time that a lot of people are so desperate, stressful and sinful. 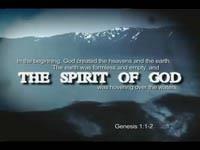 We need the Holy Spirit, we need the Spirit of God. Why? simply because we are useless, worthless and meaningless without the Spirit. It’s a reality that majority of American adults are displeased, discontented because something is missing even though they have all the luxuries this life could offer. Why? it’s because they are not living under the power of the Holy Spirit. This fellowship preach about the ultimate and only truth- the Lord Jesus Christ. In the Philippines we are familiar with “Anting-anting” a sort of power. For instance in Cavite they have Nardong Putik (may anting-anting daw, kumakain ng bala) Because of his power he can even eat/swallow bullets. People love power- all kinds of power because sometimes they want to manipulate somebody, they want to control others lives and most of the times we want to have control over our own family. What Jesus Christ had promised was POWER from the Holy Spirit. This is our ultimate goal why we need power from the Holy Spirit. To be His witnesses to our own family first, then to our neighbors, to our co-workers and friends and to people who don’t know about Jesus’ saving grace and power. Accdg. To Rev. Barclay, there are three things to remember about Christian witness. We need to experience something before we can say about it. We need to speak out about our own personal experiences. We need to testify that indeed Christ has done something unusual in our life, that Christ is making the big difference in our day to day living. The Holy Spirit, our power.